Single Phase Industrial SSR it is a new type of non-contact switching device completely composing of solid electric elements. It’s adopts the switching characteristic of high power audion, power field effect tube, one-way and two-way controllable silicon and module to make and break the circuit without contact or spark. 1.input signal could make compute terminal and digital logic circuit compatible. 2.Optical isolation between input and output circuit, with isolating. 4.Two specifications: zero-crossing triggering and random triggering. 5.LED indication for working condition. 1. SSR serious solid state relay adopts flame resistant engineering plastic case,epoxy resin encapsulation,screw thread educting terminal connection. 4. Especially for severe environment full of corrosion and moisture or requiring explosion-proof and dust resistance or place demanding frequent switching. 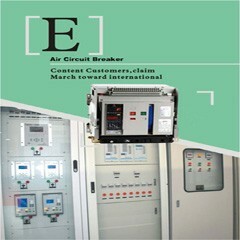 Remarks 1.Load current>10A ,a radiator is necessary,Load current>80A, fan is necessary.